I love this hot weather. It must have come from my first 4 years spent in the Middle East. But the only trouble with hot weather is everything seems to go off quicker. Bananas turn brown more speedily and raspberries seem to perish in a matter of minutes! 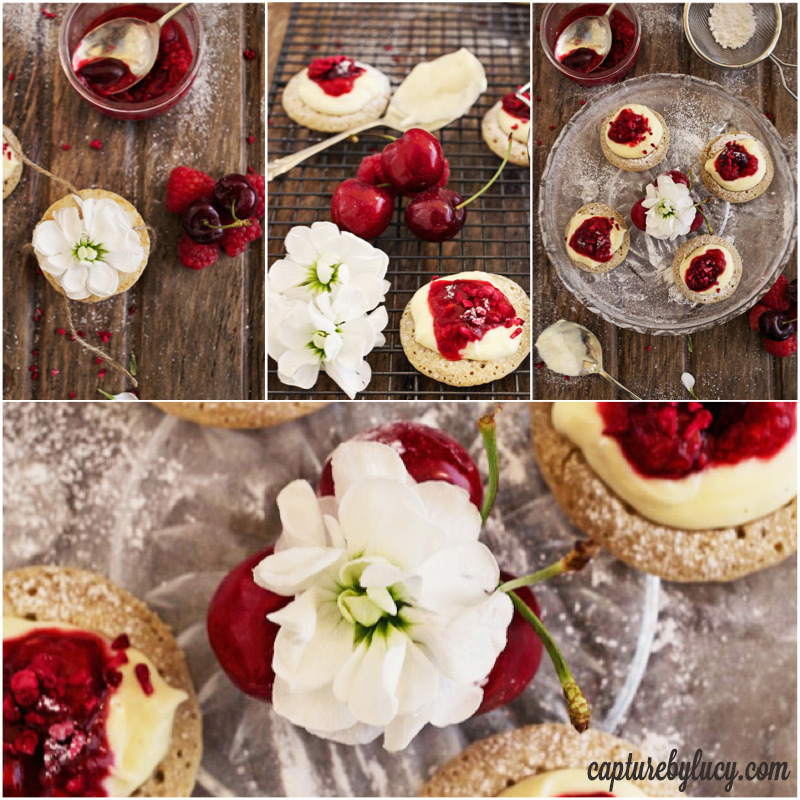 I had some cherries and raspberries in the fridge that looked as though they were just about to wilt and shrivel so I came up with a sweet summer time canapé that is super quick and easy. Plus the boys loved it! A treat for the whole family that doesn't resemble children's food. Hooray! 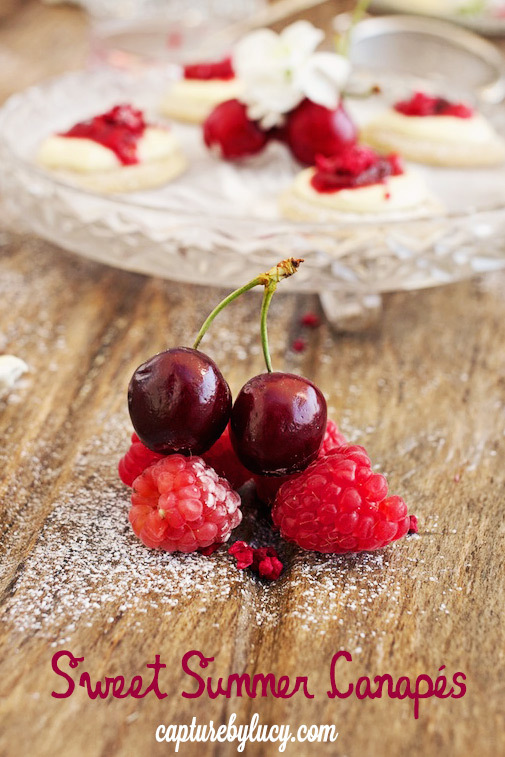 Add a little oil to a pan of raspberries and cherries. I used a handful of each. I literally pulled the cherries apart and flicked the stones out. Add a table spoon of sugar to caramelise and take away the sharpness. 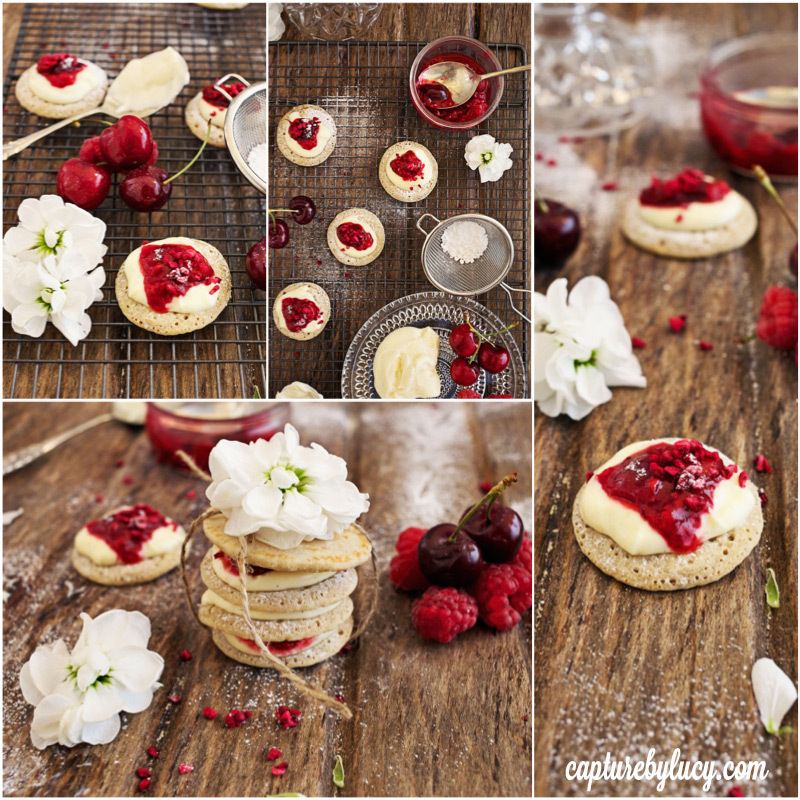 Heat your blinis in the oven for 4 minutes at approx 170 degrees whilst your fruit becomes a sticky delicious mess. 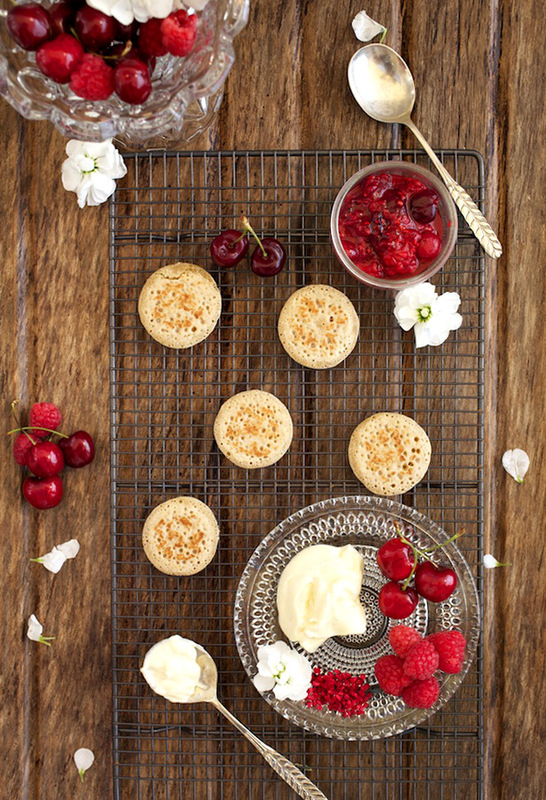 Add a dollop of vanilla cream to your warm blinis (leave them for 2 minutes when they come out of the oven so the cream doesn't slide straight off) and a heaped teaspoon of fruit on top. 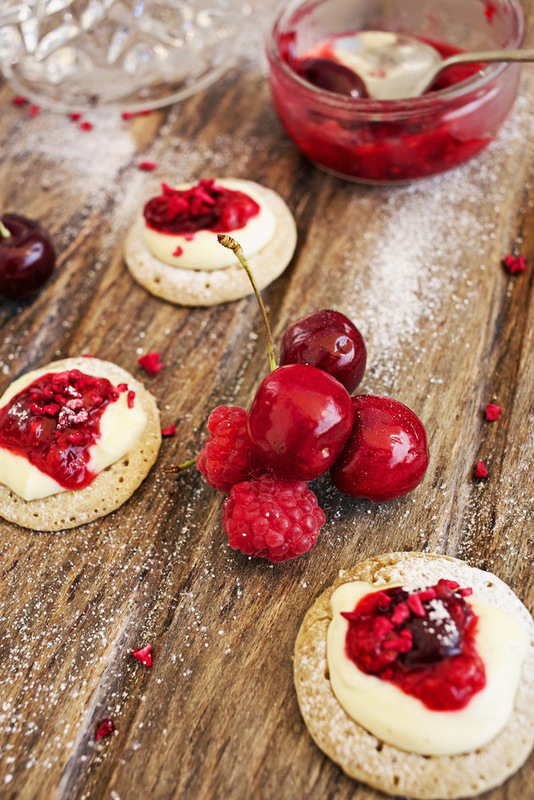 Sprinkle with freeze dried raspberries for extra wow factor and add a dusting of icing sugar. Pretty and pretty effortless. Plus a way to use up fruit you may be tempted to through away. A winning combination for a summer party!